Eggs are a great source of protein. 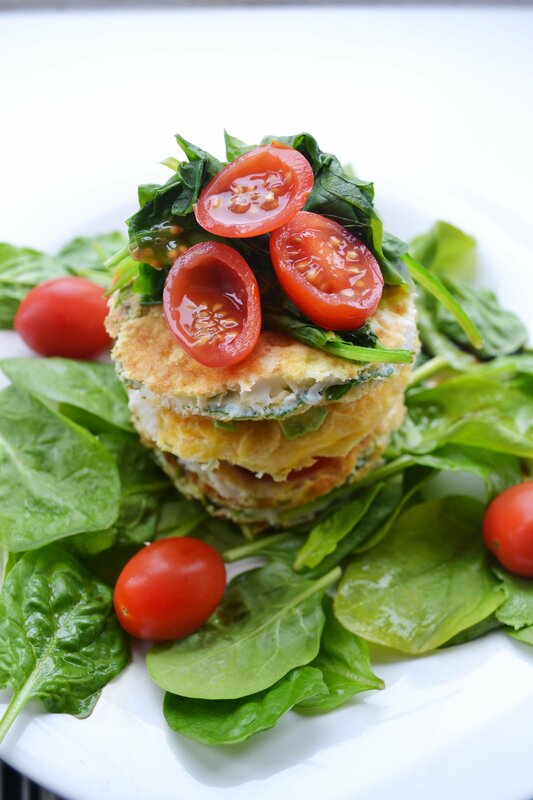 Check out this recipe below for a spinach and tomato omelette stack which is perfect for a quick lunch idea. – 1 large bowl raw spinach washed. 1. In a large mixing bowl, crack the eggs and mix in with half the tomatoes and half the spinach. On a low heat, place a small amount of oil and then place the egg mixture in. 2.Carefully flip the omelette when cooked on the bottom half. 3. While this cooks, you can pan fry the rest of the spinach on a low heat. 4. When the omelette is ready, place on a chopping board and using a circular cookie cutter, cut out 4 circular parts from the large omelette. 5. 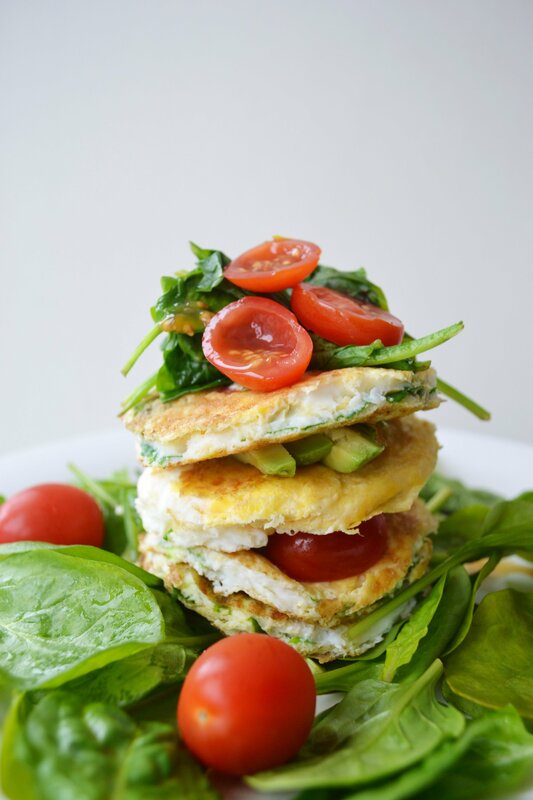 Place the omelette stacks on the plate, stacking them up with the avocado, cooked spinach and tomatoes separating the levels as shown in the photo. Serve on a bed of green leaves.